Mumbai is well known as finance and entertainment capital of India. It is the wealthiest city and holds many industries architectural landmarks, educational centers, malls, beaches, gardens and many more and welcomes many national and international tourists and guests every day. Mumbai offers everything and remains shopper’s delight with bargain buys, exclusive malls, boutiques and mini bazaas. Busy city is famous for the Hindi film Industry that produces largest number of films in the world. As it holds everything from old to new, ethnic to modern many people visits the city regularly or occasionally. In view to provide accommodation to the travelers and guests, city offers many star hotels and resorts that offer comfort along with luxurious facilities. 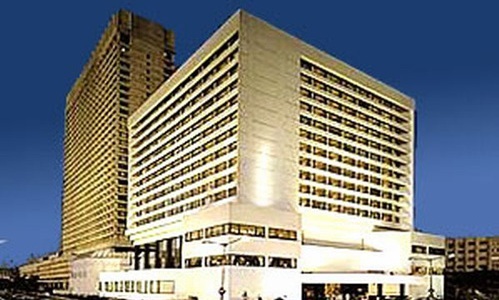 Here is the list of best five star hotels in Mumbai. 5. The Oberoi: It is one of the luxurious hotels located near to the shopping district of Nariman point located near to the sea and offers excellent view during nights. It offers well decorated spacious and luxurious rooms to the guests. Business facilities like conference rooms, meeting rooms and 24 hr business center. It also holds many recreational facilities like swimming pool, gym, spa, clubs , fitness center and many more. It is located near to the business and entertainment districts most of the tourists and travelers prefer Oberoi hotels that offer best services and facilities. 2. Taj Mahal Palace,Mumbai: It was found to be one of the oldest royal hotel in the City which was built 21 years before the gateway of India. It offers excellent and spacious rooms that are decorated with the modern amenities. It includes facilities like Spa, fitness clubs, swimming pool, night clubs and many more. It also holds fine dine restaurant that offers wide varieties of Indian and International dishes and a Coffee shop. It offers excellent view during nights with the moon light and the ocean. 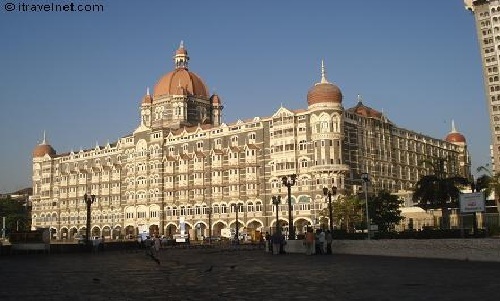 Taj mahal palace is the most preferred hotel by the Indian and international tourists and guests. Address: Apollo Bunder ,Mumbai – 400 001,Maharashtra, India. 3.The 4 seasons, Mumbai: It is one of the finest hotels in the city that offer 202 rooms that are elegantly decorated with beautiful art gallery. It offers an excellent view of Arabian Sea from all its rooms and lobby’s. It provides excellent facilities like conference halls for the business people, wedding venues and meeting halls to conduct meetings and events by business travelers. It also include swimming pool, fitness facilities like health club, gym and also features an Aer Bar on the top floor which is recorded as the country’s top floor bar that has huge collection of wines and drinks. 2. Meluha The Fern: It is one of the top rated hotel located near to the railway station and beautiful Powai lake. It offers 141 elegantly designed rooms under categories like Wintergreen Rooms, Hazel Suite, The Fern Club Room and The Fern Club Suite. It also features modern amenities like LCD TV, direct dial phone with voice mail, Wi-Fi and many more. 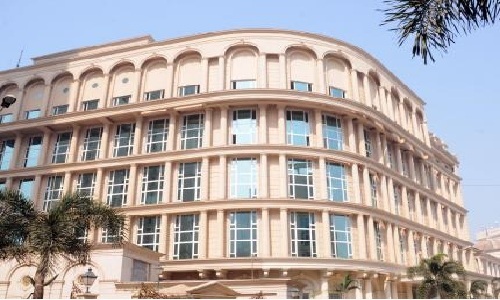 It holds well equipped venues, 3 meeting rooms and 3 halls for organizing corporate and social events. It also offers a fine dining restaurant Cesky and unwind that offers wide varieties of delicious Indian and International dishes. Tiara is the bar located in the hotel that offers finest collection of wines and drinks. 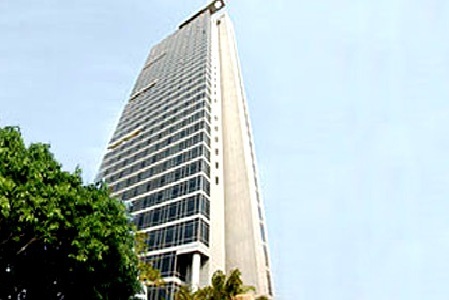 1.Vivanta by Taj: It is one of the luxurious hotel located near to South Mumbai’s business district. It offers luxurious rooms with fully furnished modern amenities. It holds many best features for the travelers as well to the business people by proving meeting halls, conference halls, banquet facilities and many more. It offers best recreational facilities like spa, health club, fitness club, swimming pool and many more. It also offers restaurants that offer wide varieties of Indian and International cusine varieties. 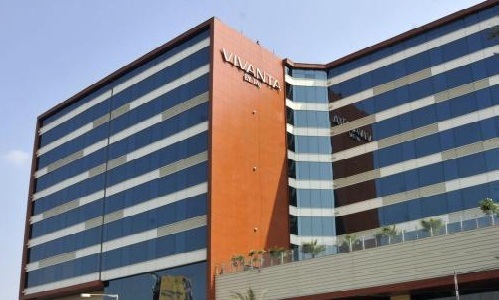 Vivanta is the best place for the business travelers and the tourists which provide comfort during travelling. Address: 90 Cuffe Parade, Mumbai – 400 005, Maharashtra, India.